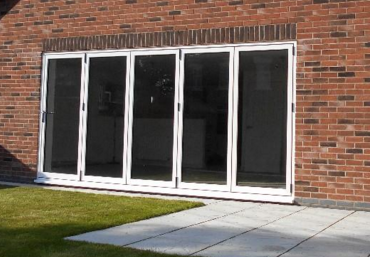 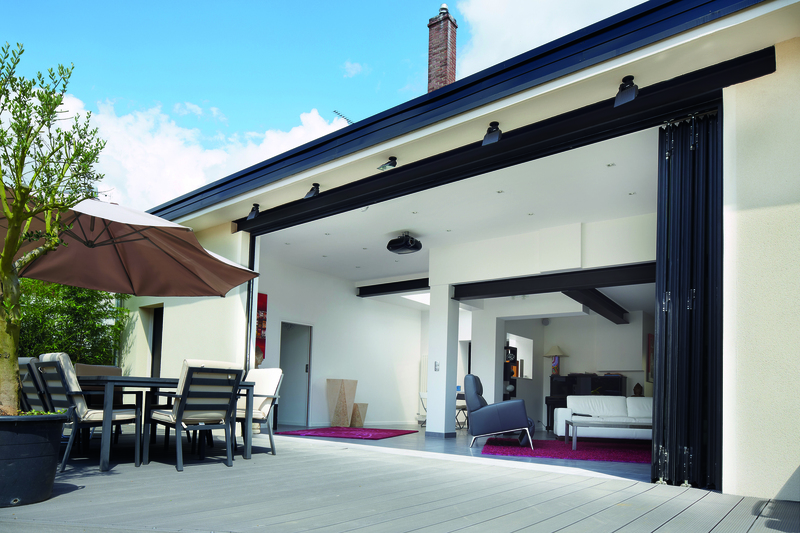 Aluminium Bi-fold Doors Preston, Chorley, Leyland, Blackpool, Lytham. 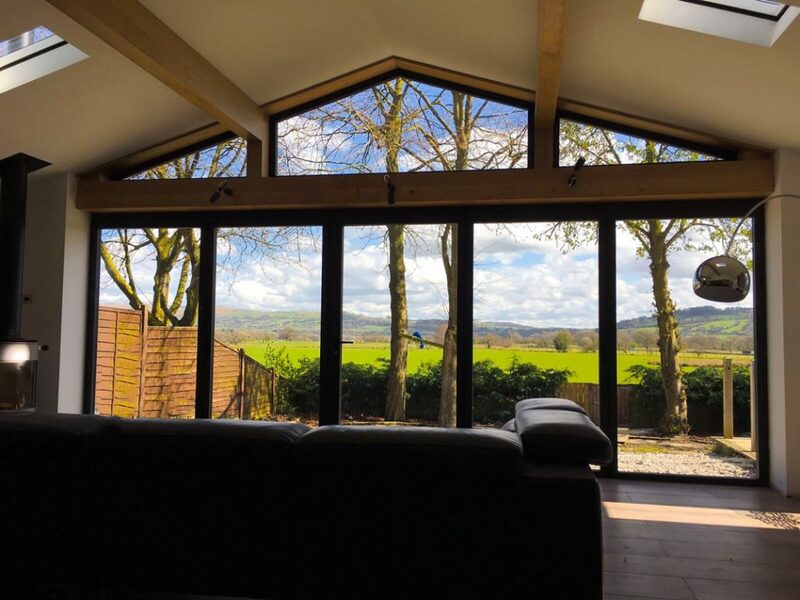 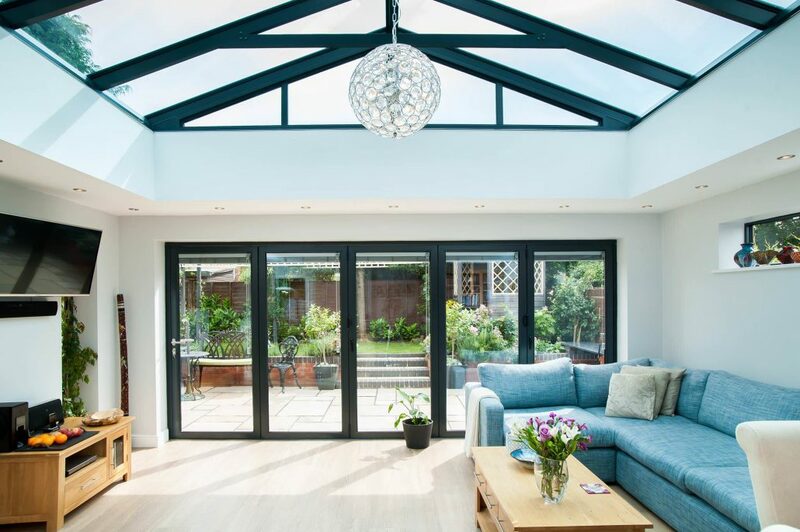 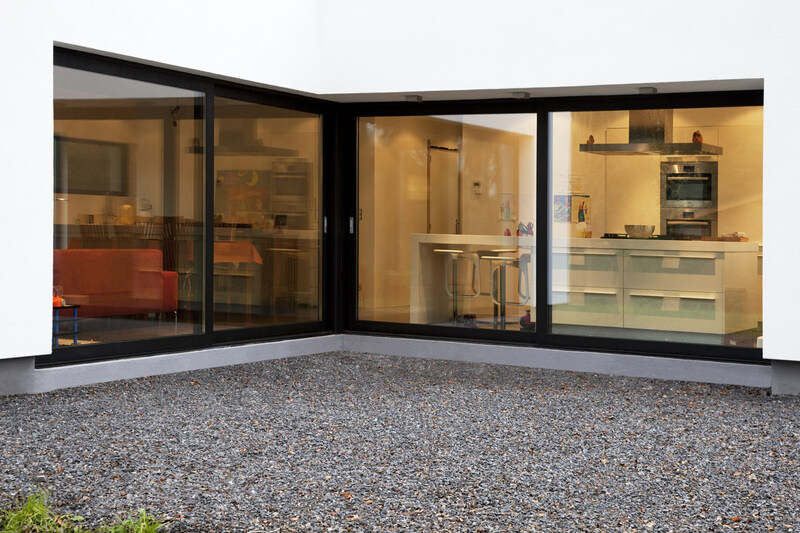 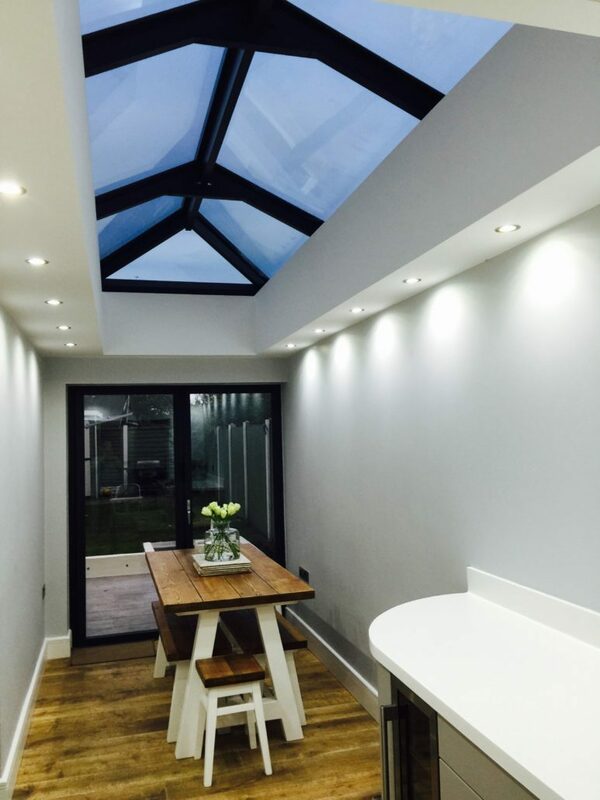 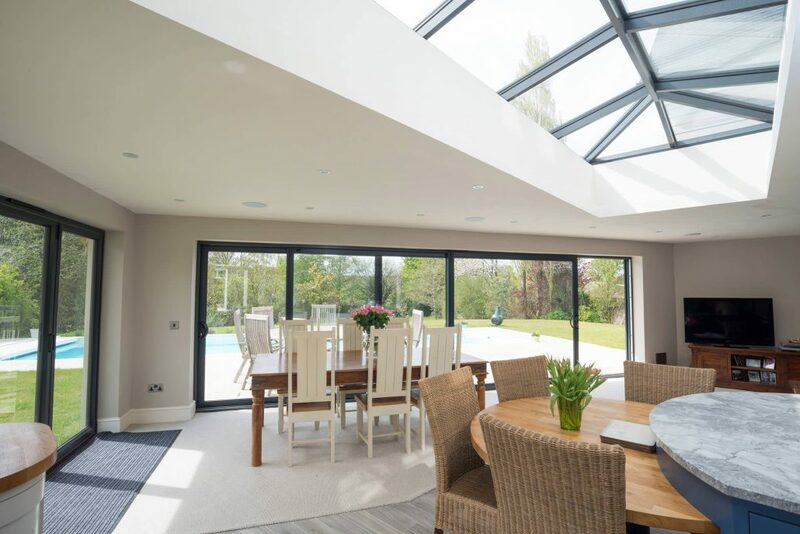 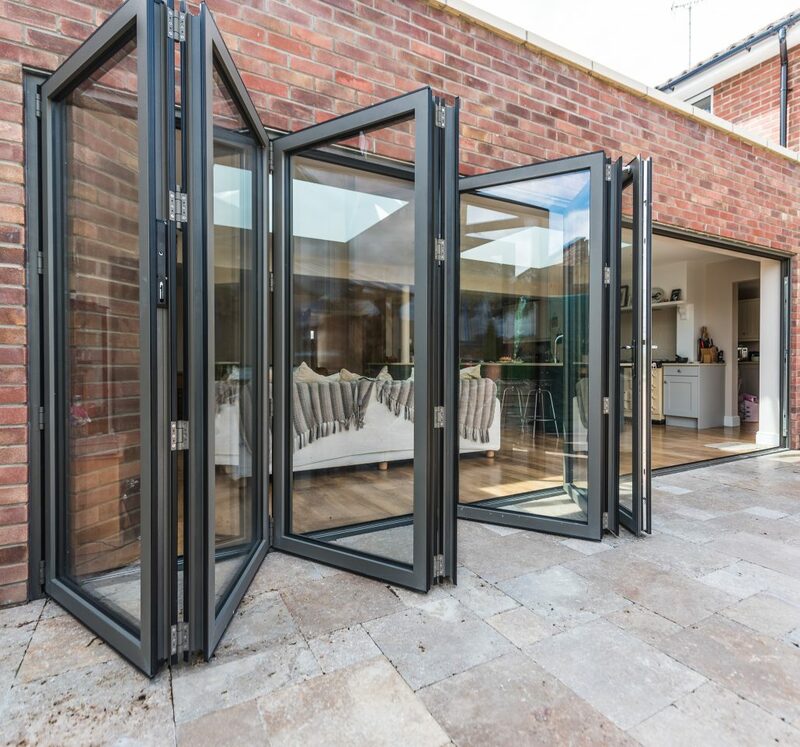 All our Bi-Folding doors are folded in a space saving manner and conveniently slide to the side, making use of the aperture width and opening your room to the outside and increasing the amount of natural light dramatically. 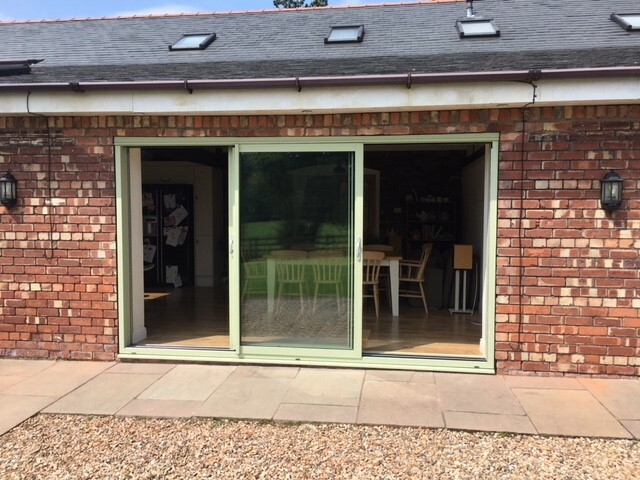 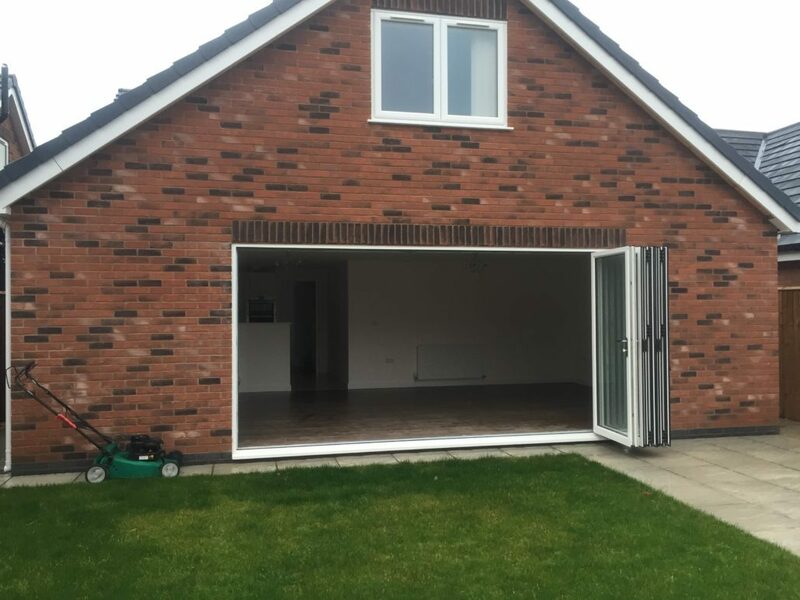 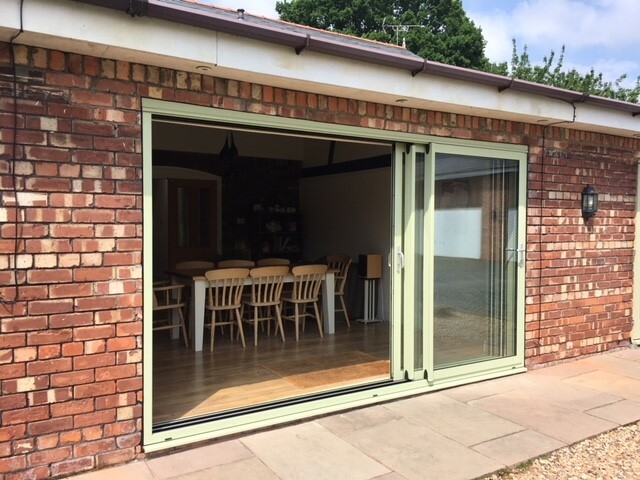 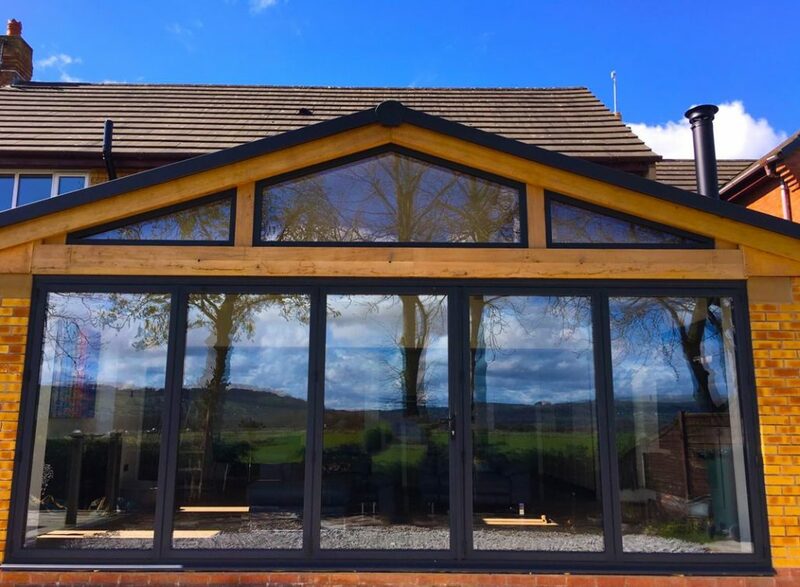 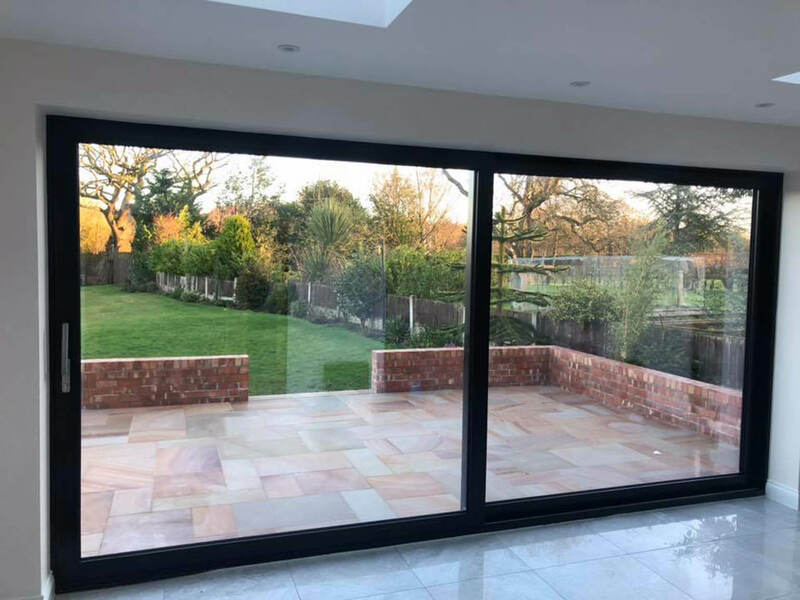 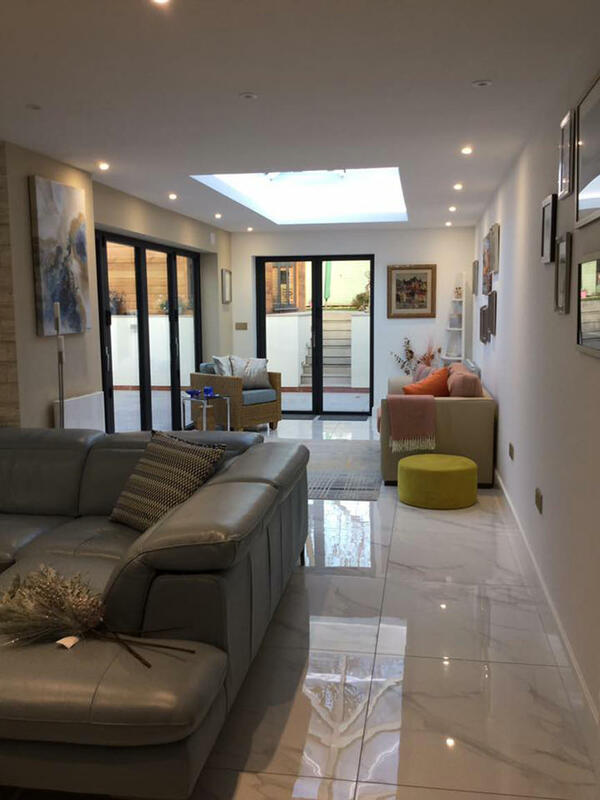 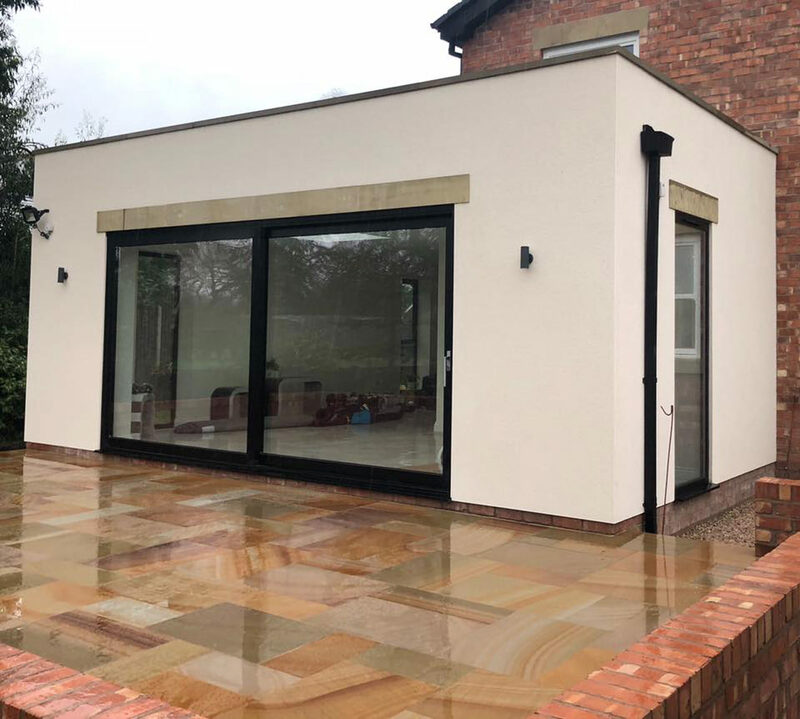 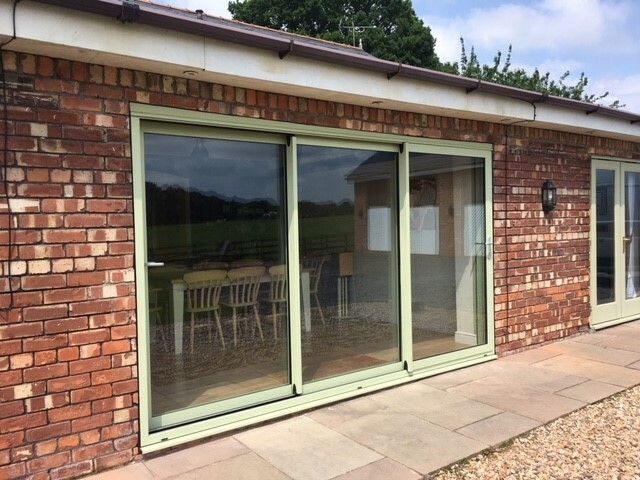 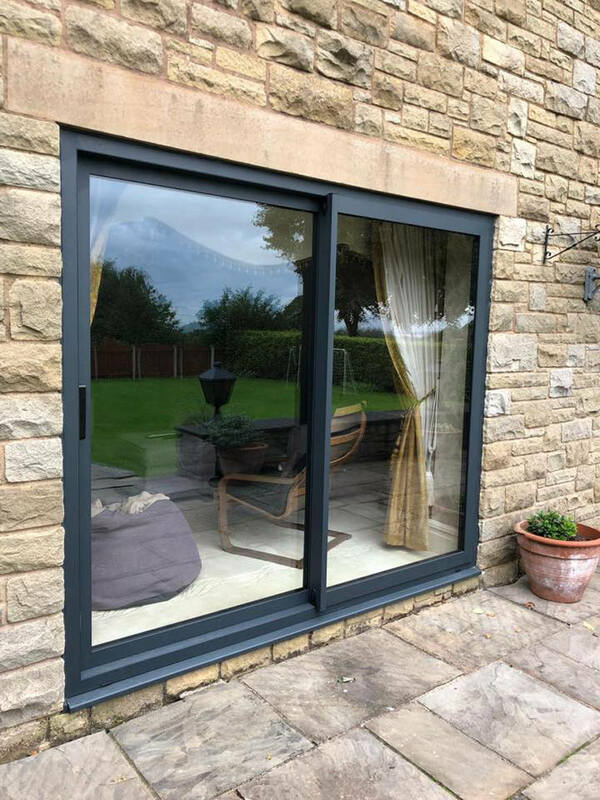 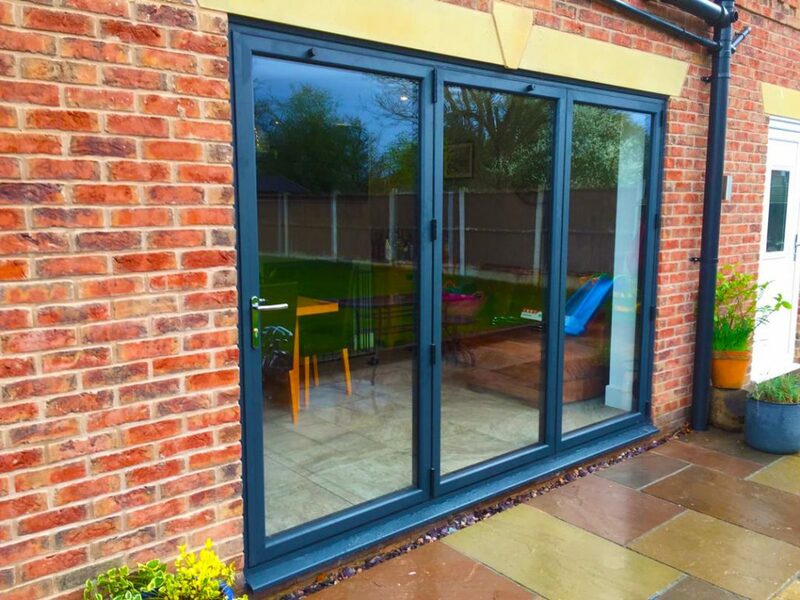 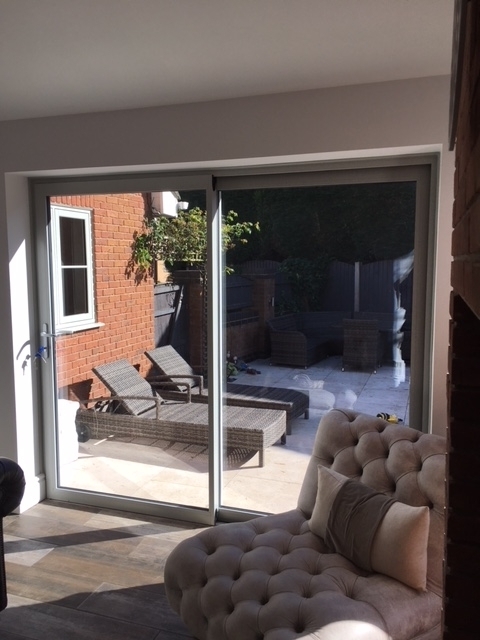 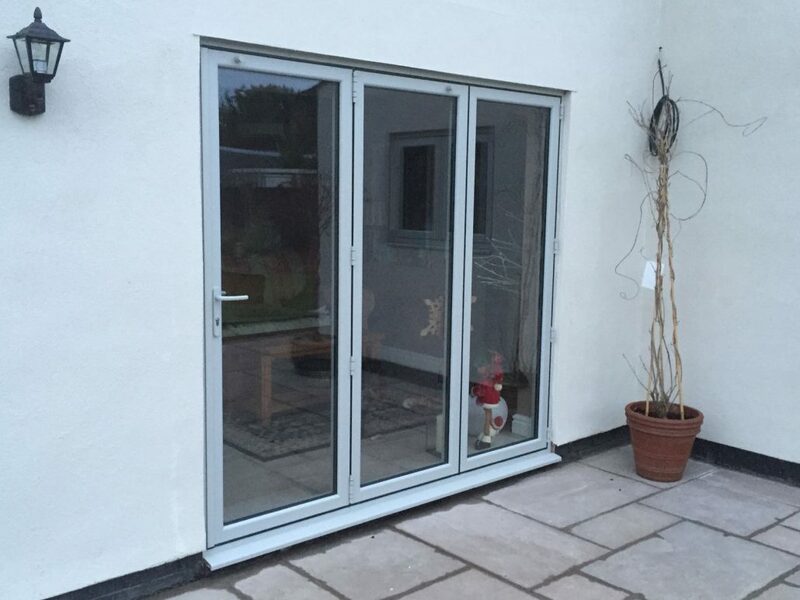 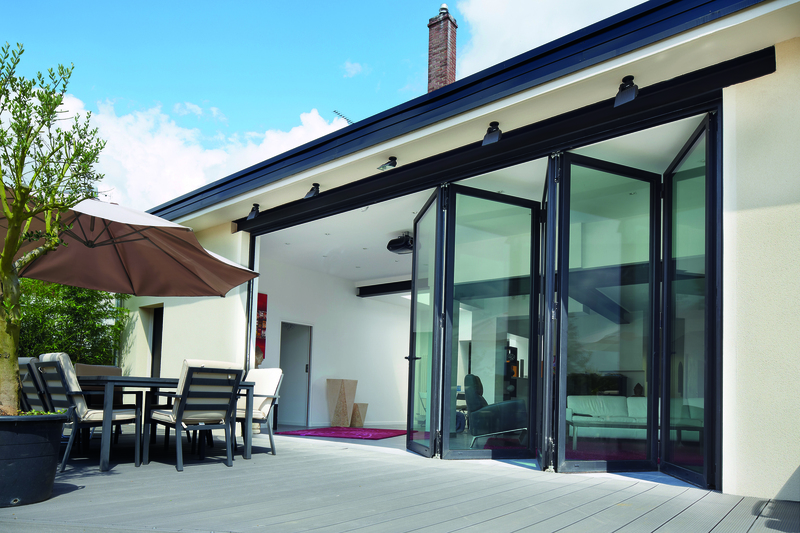 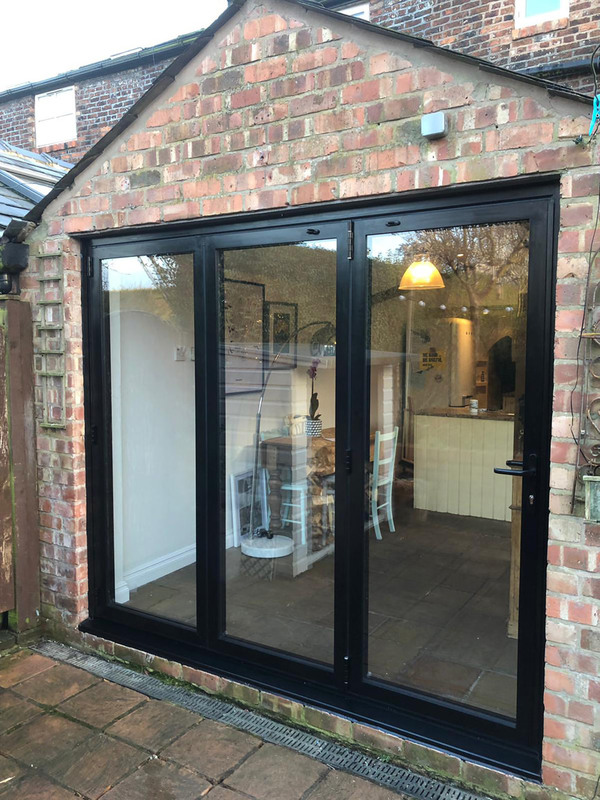 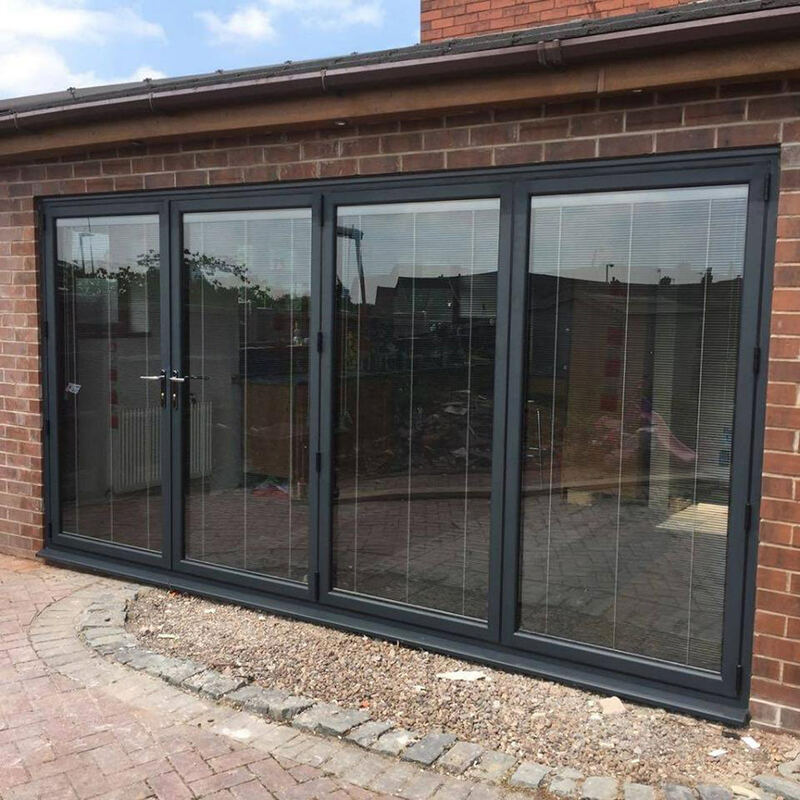 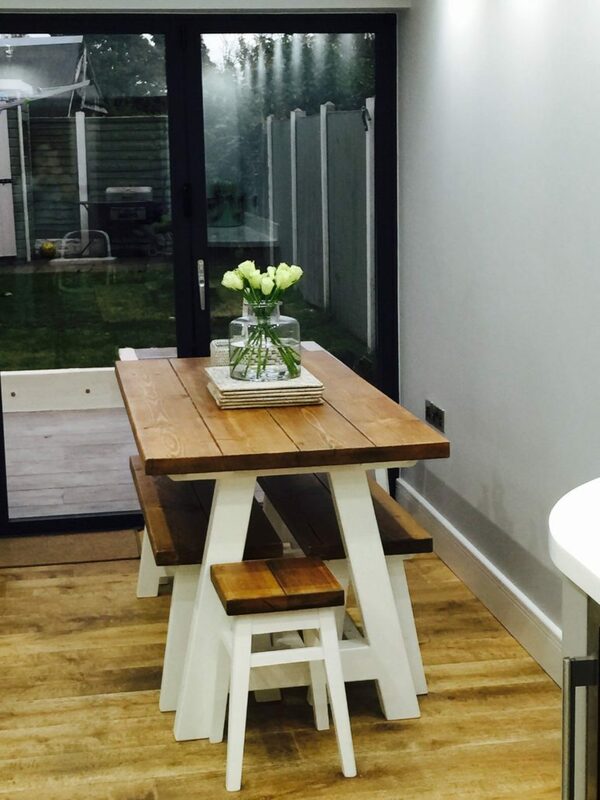 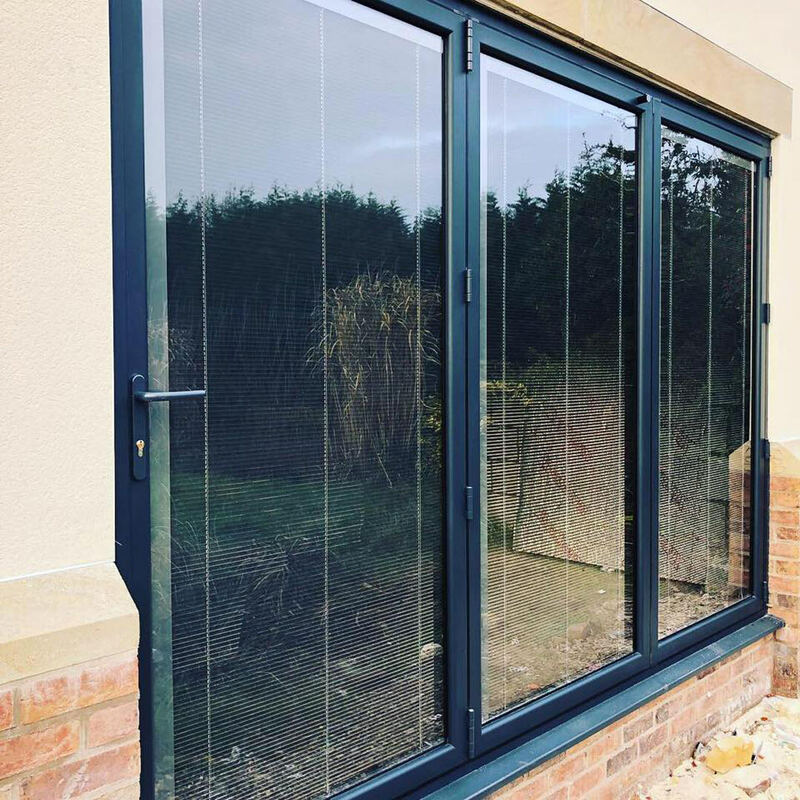 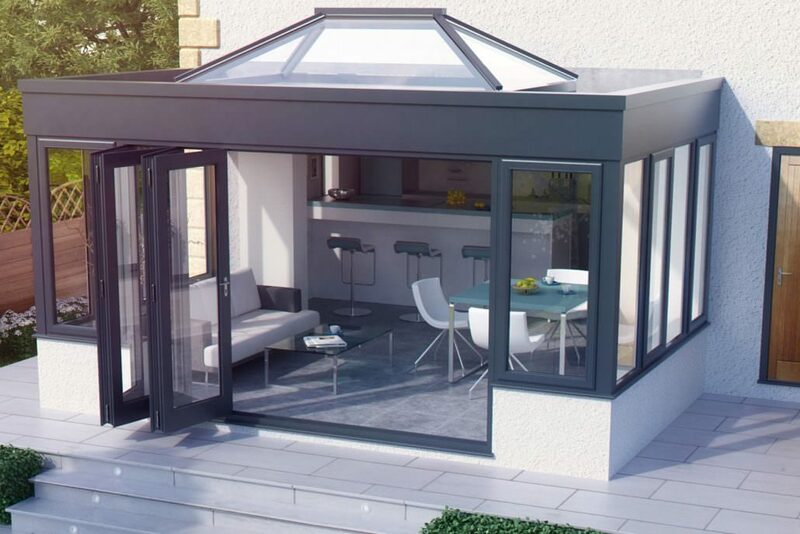 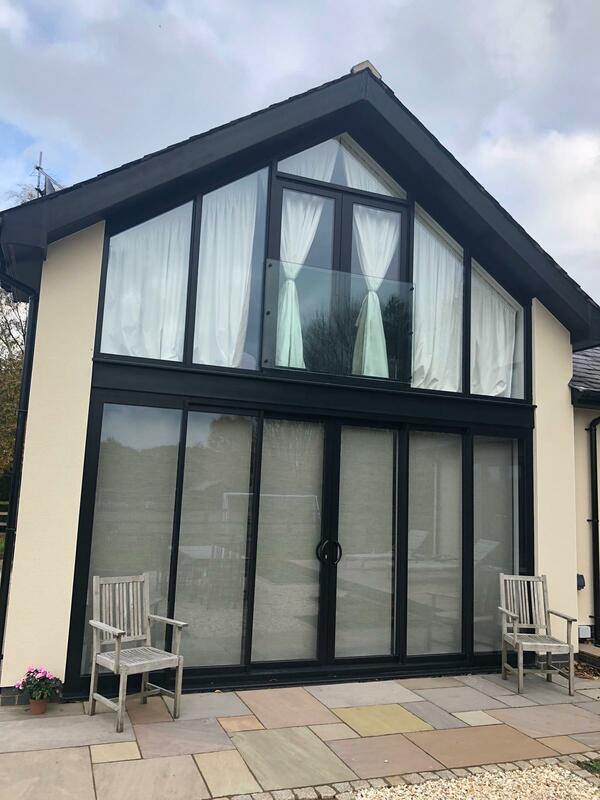 Bi-fold doors can also be used to replace your existing French door or patio door, or can be used for wherever you would like to create a large opening onto a terrace or patio area. 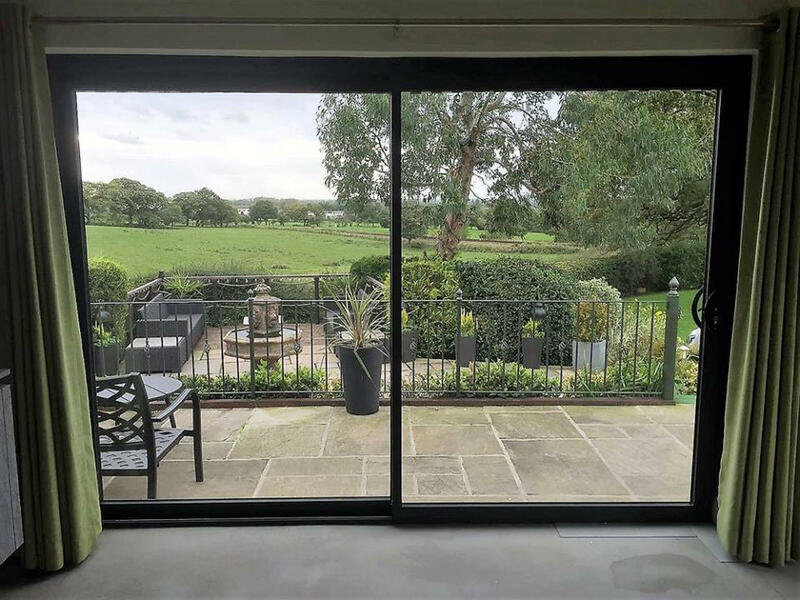 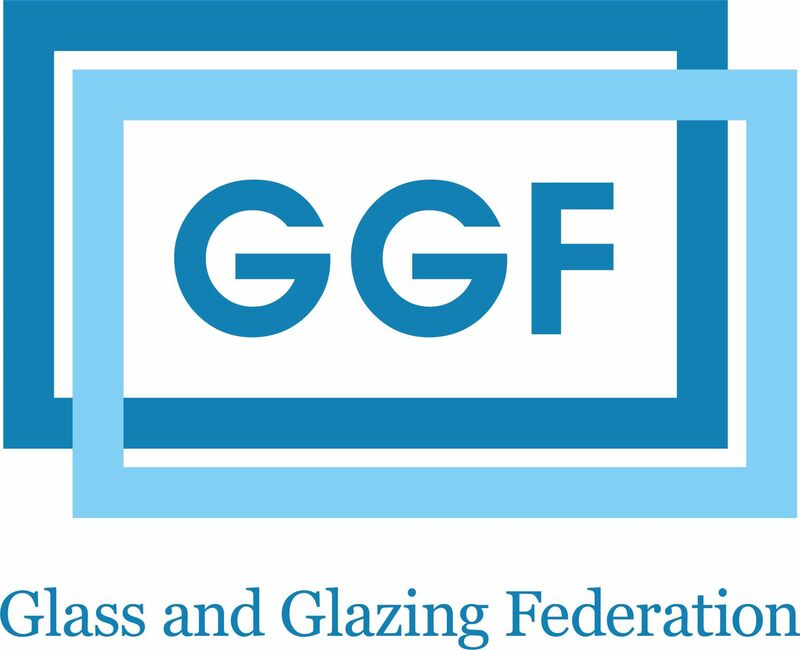 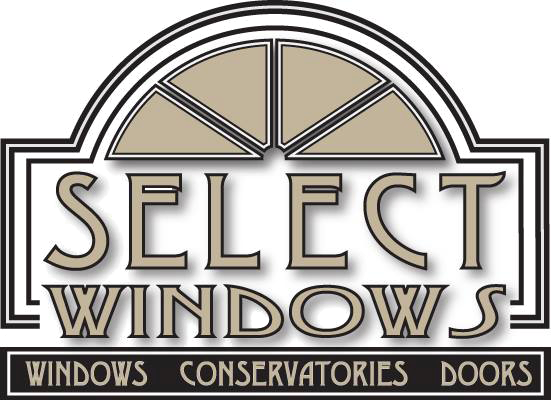 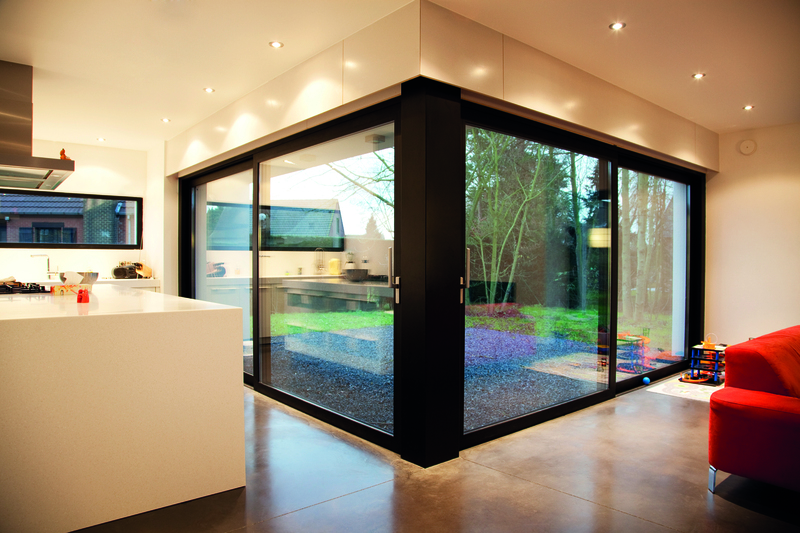 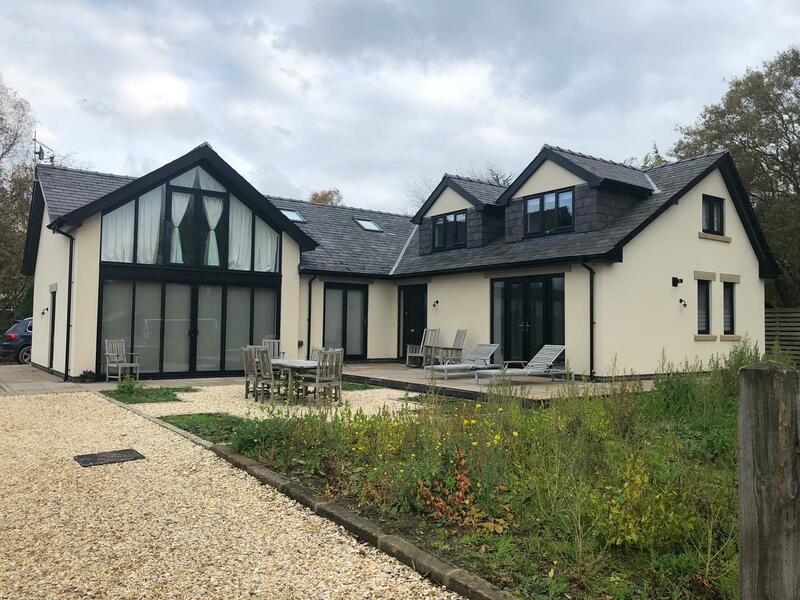 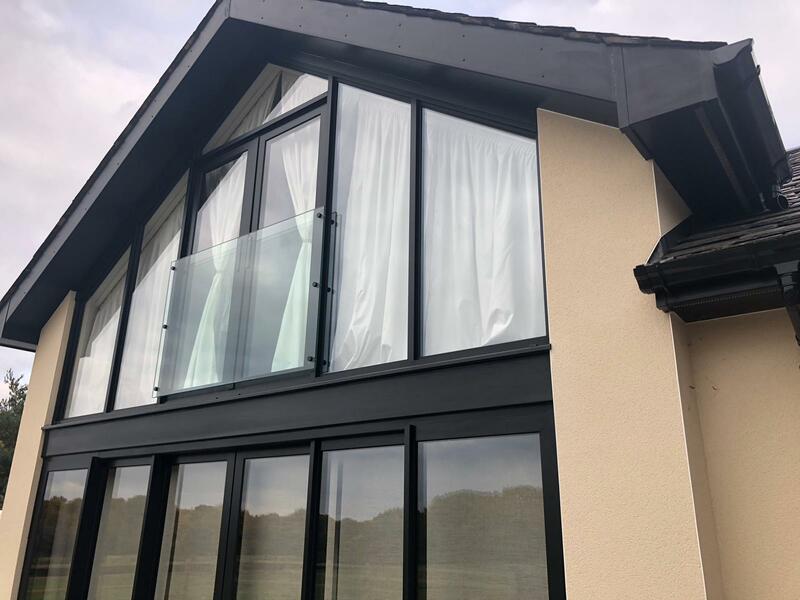 Sliding doors provide the maximum light and views with their large glass area whether it be a double or triple track option for two, three and four sash systems. 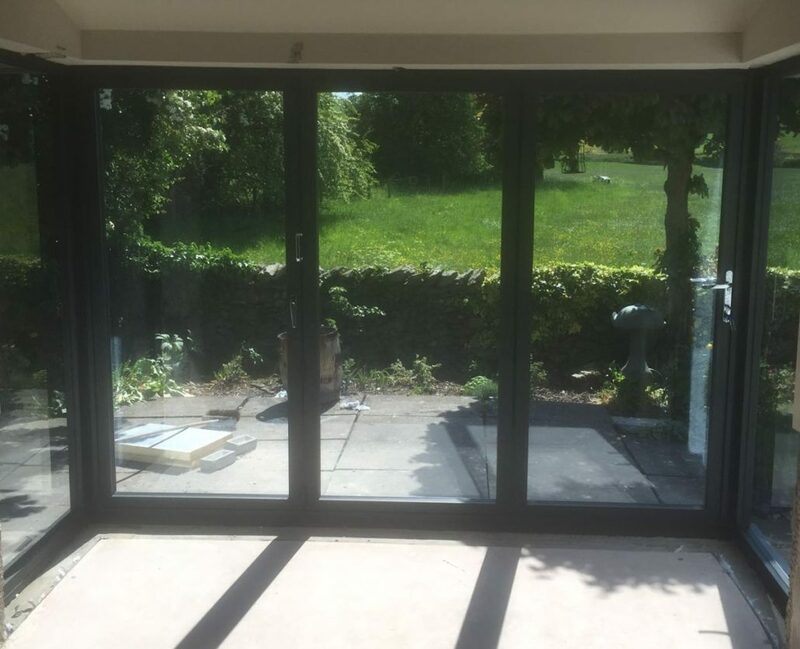 Painswick 3 segment Aluminium Bi Folding door.